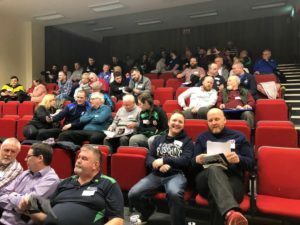 On Sunday 27th January the coaches, volunteers and staff from the NIJF convened in the Ulster University, Jordanstown for their first ever coaching conference. 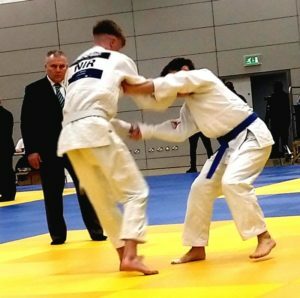 Bringing together a wealth of experience from the guest speakers, the conference focused on “well-being in Judo” and how to make the sport a place that has understanding for the health and well-being of all involved. 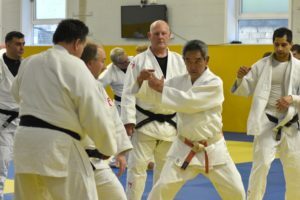 Over 75 delegates attended and 23 out of the 30 main clubs in the NIJF were represented, which shows a great response in wanting to be educated on such an important subject matter. 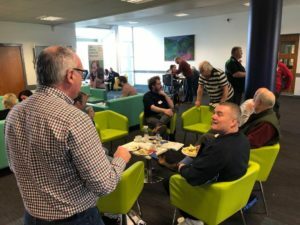 As well as the workshops, informal networking took place on the day with coaches and clubs sharing ideas and initiatives with each other in a relaxed environment away from the mats.